pH balanced. Gynaecologist & dermatologist - clinically approved. With aloe & calendula. Perfect pH to match your intimate skin. 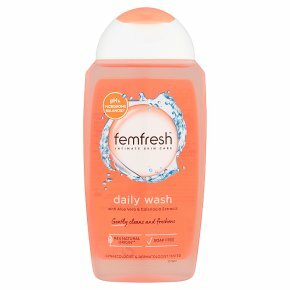 100% soap free.Daily Wash with aloe juice and natural calendula is enriched with natural ingredients. This simple formula effectively cleans, leaving you feeling fresh and confident all day long. pH balanced to your intimate skin, you can use this hydrating wash everyday for immediate freshness. For external use only. Keep away from eyes. Keep out of reach of children.